ForeUI is a powerful tool to create static or interactive prototype for software/website in your mind. Many organizations and individuals are using ForeUI as their UI/UX/interaction design tool, and even product development tool. With ForeUI you can create wireframe with any fidelity, and you can change its style by simply switching the UI theme. You can also create working prototype by defining intuitive flowcharts to handle specific events in ForeUI. 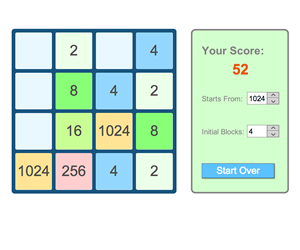 The working prototype can be exported as HTML5 files, or run as interactive simulation in your web browser. Whether you are Information Architecture, UI Designer, Developer, Product Manager, Market Analyst, or you just need a streamlined approach for communicating your requirements for an outsourced project, ForeUI is the perfect solution for you. Create interactive HTML5 simulation of your product/solution in intuitive and easy way. 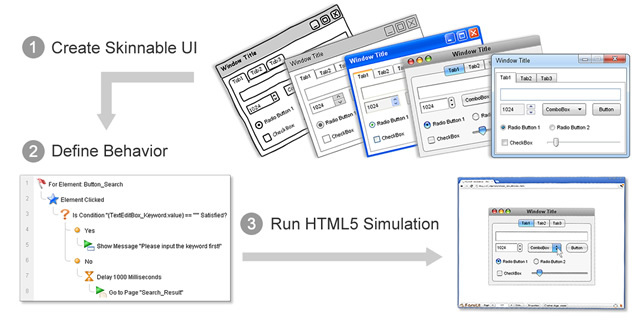 Share your idea immediately by sending customer/colleague the link of HTML5 simulation. Get feedback from others early in the design phase. Do usability testing before starting the real product development. Even develop the UI for real web app and integrate it with back-end service via JSONP API or YQL proxy. Besides the extremely ease to use and very flat learning curve, ForeUI has a lot of out standing advantages. ForeUI supports one-click switching UI theme for your wireframe, which allows you to preview the same design with different styles. UI themes for all fidelity are available. With ForeUI, you can create your own custom element or library, which could be used in your future design. You can also download new wireframe elements or libraries from ForeUI store (via application or web browser). 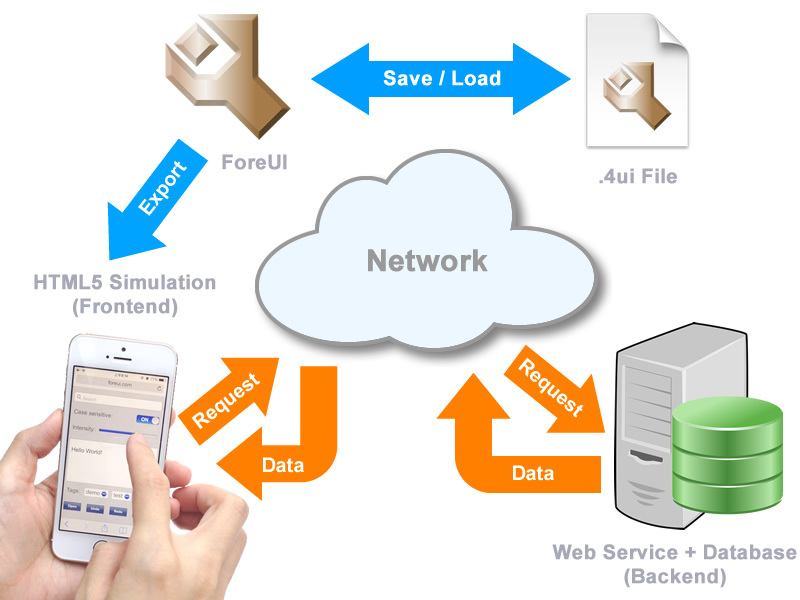 ForeUI Simulation + Web Service = Real Web Application! The HTML5 generated by ForeUI can talk to web service via JSONP API or YQL proxy, so it could actually work as a web application. This makes ForeUI indeed a development tool for web application front-end. ForeUI works on Windows, Mac OS X and Linux systems. The format of plot file is identical in all platforms, which means you can save the plot file on Windows in your office, and take it back home and edit it on your MacBook Air. Here are some sample prototypes created with ForeUI. They are not just pictures, please click the thumbnail to run the simulation in your web browser. You can find more examples and custom elements in ForeUI Store. You can download and try full-featured ForeUI for FREE. Here is the online document of ForeUI, you will be able to download the printable user manual after buying a license. If you have any question, you can post your question on our support forum or contact us via email. If you want to get notified when ForeUI is updated, you can subscribe to our blog or join our mailling list.